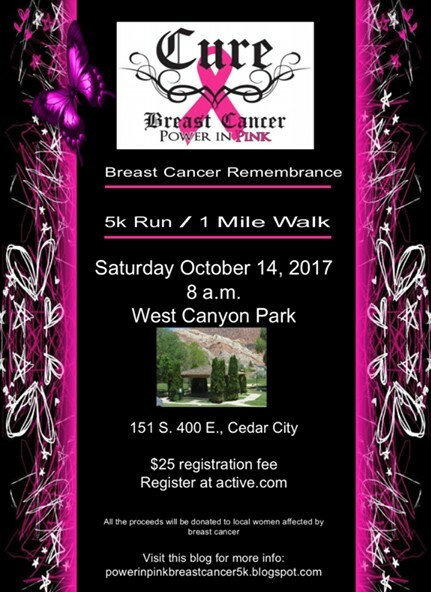 The Power in Pink 5K/1 Mile Walk will be Saturday, October 14, 2017 at 8:00 am at the West Canyon Park (151 S 400 E). There is a $25 registration fee and you can register at active.com. Proceeds from this event are donated to local women going through treatment for breast cancer. Visit http://powerinpinkbreastcancer5k.blogspot.com/ for more info. Pictures from Power in Pink 2015.